The CBL has confirmed that it will suspend disbursement of non-essential public funds until Audit Bureau allegations into its mismanagement are investigated (Logo: Tripoli CBL). 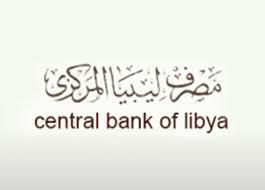 The Tripoli-based Central Bank of Libya has confirmed its decision to freeze public spending for non-essential sectors until an investigation is carried out into allegations that it has mismanaged public funds. The confirmation came indirectly in a clarification statement issued yesterday. The clarification statement said that with reference to what was issued by the CBL on 24 May (which it had not officially published) regarding suspending disbursements of public funds except for salaries and subsidies and urgent disbursements that would reduce burden on citizens. The CBL, however, stressed that it would not suspend the approved letters of credit or family allowances. This confirmation came as a relief as the black – market exchange rate of the dollar had immediately shot up as a result of the 24 May leaked letter. It will be recalled that on 24 May an unconfirmed leaked letter from the CBL had started to circulate. This publication could not get any official confirmation of the letter. Yesterday’s statement by the CBL confirmed the letter by reference to it. The CBL letter was addressed to the Presidency Council, the House of Representatives, the High State Council, the Attorney General’s Office, the High Judiciary Council and the Administrative Control Authority. The Audit Bureau was not included. In the 24 Mat letter, the CBL said that it was forced to take this action as a result of the accusations by the Audit Bureau in its 2017 Annual Report of mismanagement of public funds. The CBL said that it was its duty to suspend non-essential disbursements in the interest of safeguarding public funds. To this end, it called upon the relevant entities to investigate the claims made in the Audit Bureau report. This latest statement by the CBL is part of an ongoing political tug-of-war between the Tripoli-based CBL and the Tripoli-based Audit Bureau. It caused by the political and legitimacy vacuum in Libya caused by the country’s political split and weakness of institutions. It will be recalled that both the CBL and Audit Bureau do not fall under the control of the Tripoli executive – the Faiez Serraj-led Presidency Council. Their heads are appointed by the Libyan parliament – the House of Representatives (HoR) in Tobruk. The relative weakness of the HoR and its inability to enforce its decrees in western Libya has left a vacuum for both the CBL and Audit Bureau – which has led to their ongoing battle to establish boundaries of responsibility. Equally, because by Libyan law the state budget can only be passed by the legislature, the HoR in Tobruk, the CBL and Audit Bureau have had increased powers in approving the temporary/emergency ‘budget’ (called Financial Arrangements under the 2015 Libyan Political Agreement) in the face of the HoR’s refusal to approve a budget.